Experience the beauty and bounty of California when dining at Manchester Grand Hyatt San Diego. Whether you want a table steps from the bay or a panoramic sunset view over the Pacific, our eight dining options give you flexibility and variety. Our menus highlight the region's locally-sourced seafood and produce, as well as local craft beers and world-renowned California wines. Delivery and grab-and-go meals are also available. Dine in breezy elegance at a waterfront table next to the boardwalk and San Diego Bay. Sally's Fish House & Bar offers a menu built on local, seasonal ingredients and sustainable seafood. Choose from SoCal-inspired dishes, sushi, and carefully selected California wines and craft cocktails. Dogs are welcome on the patio and even have their own menu. Sally’s hosts semi-private and private events. Please email jackie.powell@hyatt.com or call (619) 358-6938. 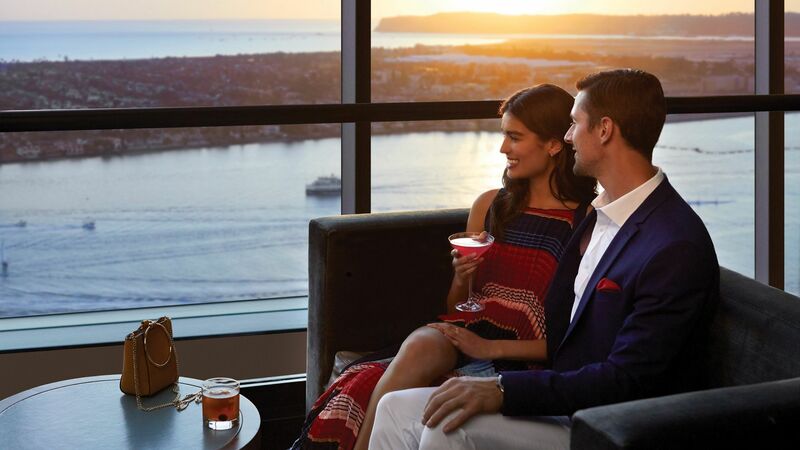 San Diego's premier sky lounge offers sweeping views of city and bay from 40 stories up. 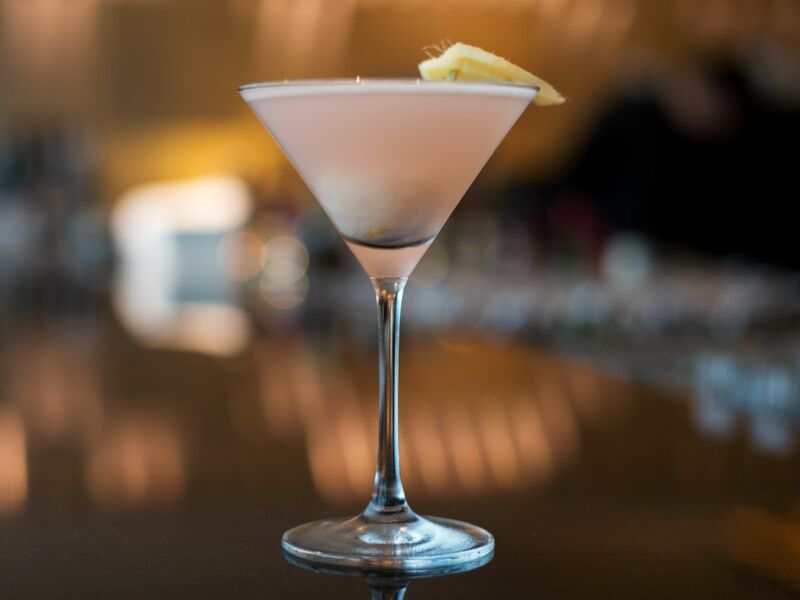 Take in a classic California sunset through the floor-to-ceiling windows while enjoying signature cocktails and small plates. 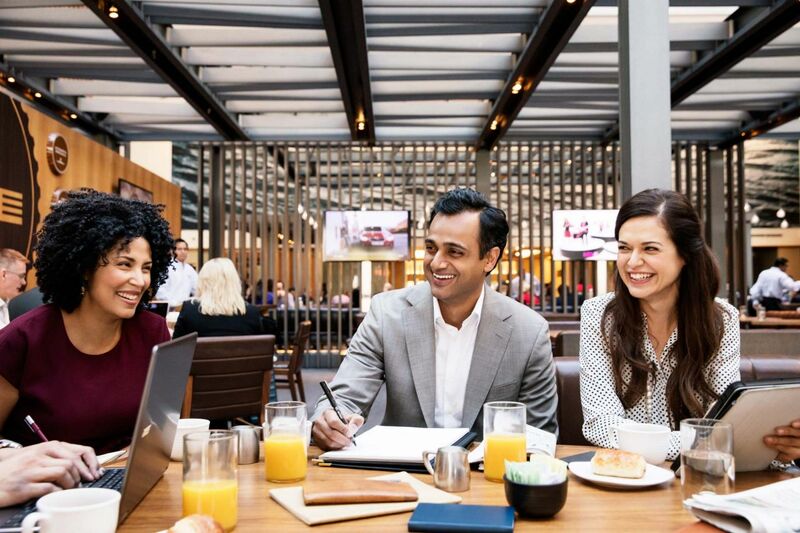 Top of the Hyatt is available for private gatherings of up to 150 people. Please email jackie.powell@hyatt.com or call (619) 358-6938. 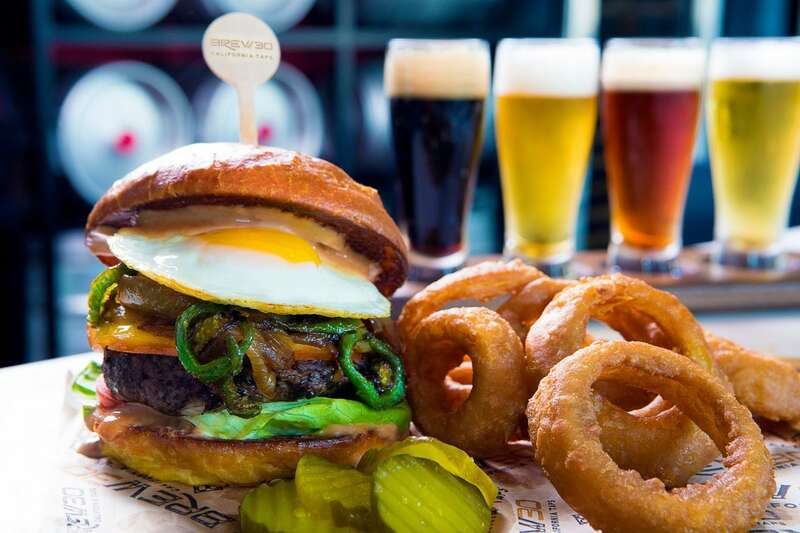 Take a tour of San Diego’s craft beer scene without leaving your barstool, thanks to our 30 taps dedicated to rotating selections from local breweries and distilleries. Try one of our specialty burgers or a gourmet salad. BREW30 hosts semi-private and private events for groups of 10–250. 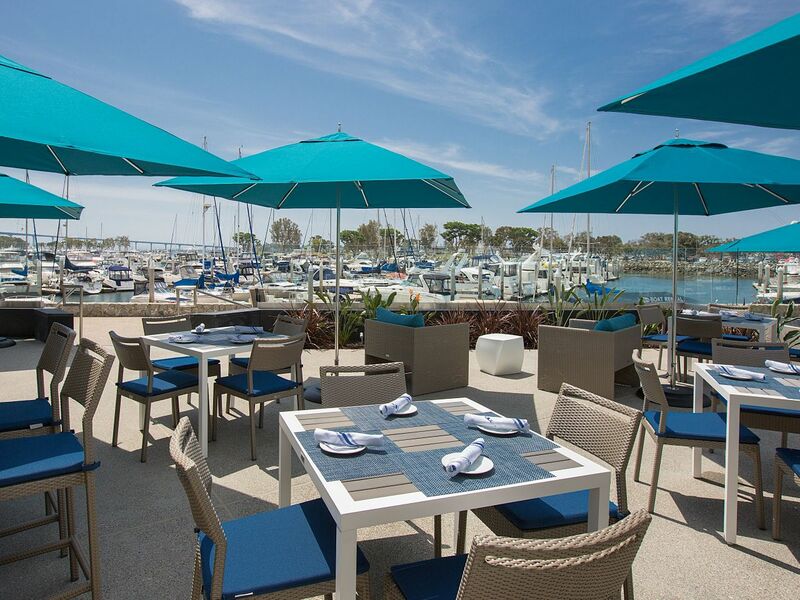 For a refreshing start to your day, have a seat on our patio overlooking the marina. 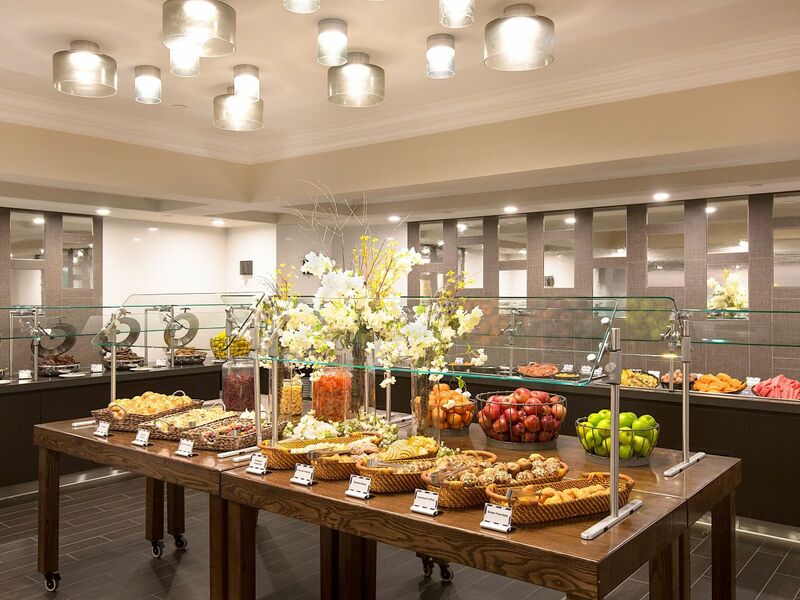 Seaview's daily breakfast buffet features fresh scrambles, made-to-order omelets, waffles, pastries, and other favorites. Maker your reservation for a holiday brunch buffet featuring a raw seafood bar, sushi and sashimi, made-to-order omelets, carving stations with Prime Rib and Honey Bourbon Glazed Ham, traditional sides, salads and desserts. Sunday, April 21, 2019 | 10:00 a.m. - 3:30 p.m.
Shower her with love and an exquisite Mother's Day Champagne Brunch Buffet of Belgain waffles, raw seafood and sushi, seasonal salads, carving stations featuring prime rib and leg of lamb and an assortment of desserts. Sunday, May 12, 2019 | 10:00 a.m. - 3:00 p.m.
Stop by for delicious, on-the-go meals and snacks any time of day. 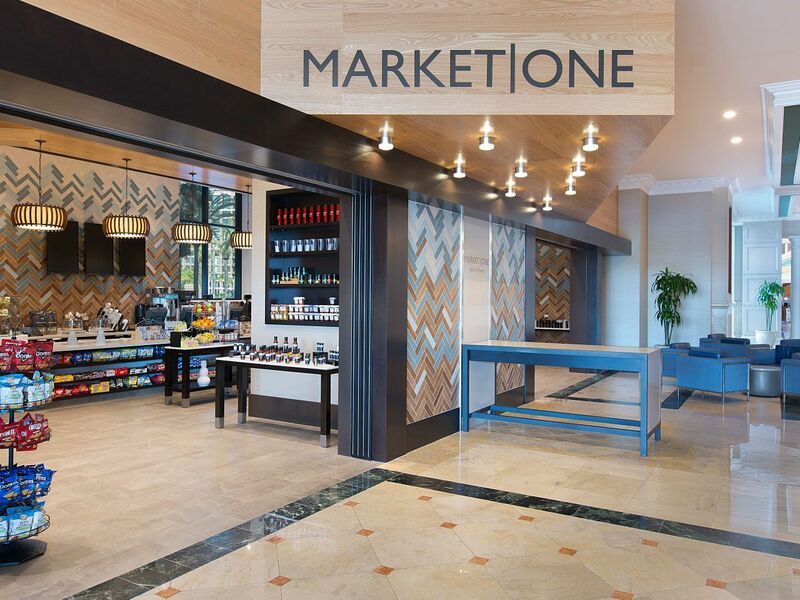 MARKET | ONE serves deli-fresh sandwiches, ready-made salads, pastries, and Starbucks® coffee and espresso drinks. The perfect gathering spot, Grand Lobby Bar offers light fare and a full bar in an open-air setting adjacent to the lobby. Relax in the sun with a gourmet burger, Cali sandwich, or fresh seasonal salad. Located at the 4th floor pool deck, Pool Bar & Grill also offers complete bar service. In the evening, enjoy a spectacular sunset over the bay and cozy fire pits for roasting s’mores. Memorial Day through Labor Day: noon–5:00 p.m.